The new round of Genre has opened and the theme is The Fae! 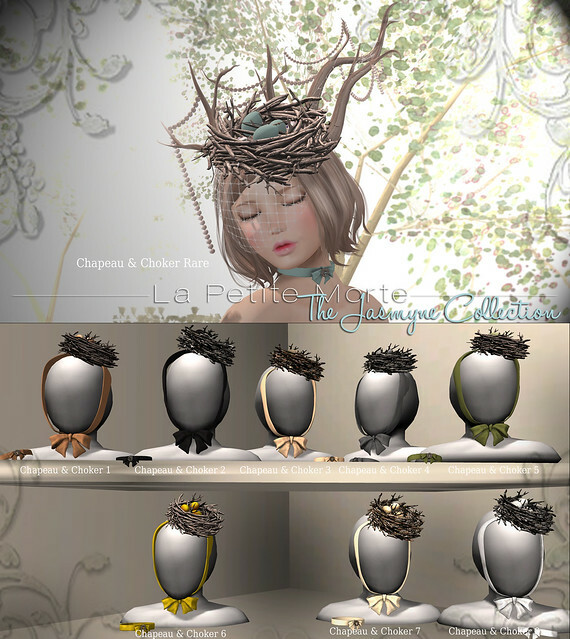 LPM has created a special Unseelie Queen skin and eye set each only 100L! Only a week left of this edition of Enchantment and once it’s closed, those items are never to be seen again! Also LPM has 3 gacha opportunities at 2 different events! First there are 2 at the Fantasy Gacha Carnival, The Jasmyne Collection and Coming Up Roses Eyepatch. Then you have the romantic initial charm bracelets available at L’Accessoires. Last but certainly not least is the Retirement Sale going on at La Petite Morte’s mainstore! All skins and poses are being retired to the marketplace to make way for big changes, and with this comes a big sale! All skins and poses are 75% off, making pose packs as low as 31L and skins 50L. was written by Voshie Paine about Community 5 years ago.